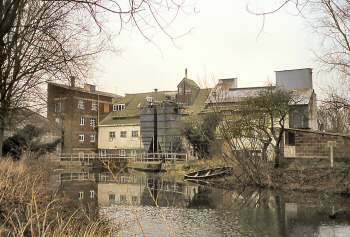 Earsham Mill dates from Saxon times and adjoins ancient earthworks. 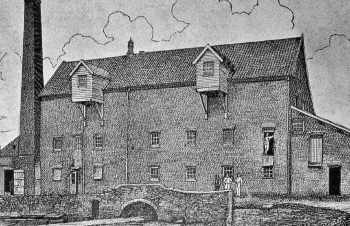 It was a brick built mill with a pantile roof. 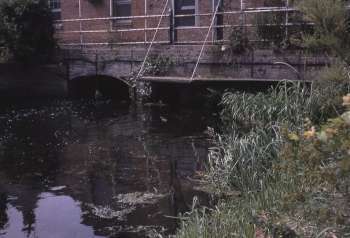 Along with Ditchingham and Ellingham, it was one of the only three Norfolk watermills on the Waveney. 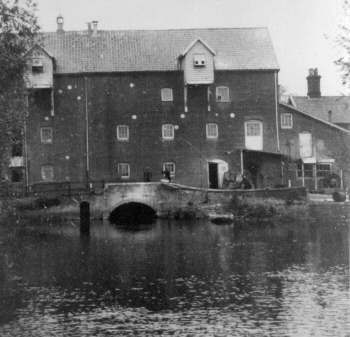 The mill was rebuilt by R. H. Clarke on the existing site in 1862. It was fitted with 12 pairs of stones powered by a waterwheel and a steam engine. A roller plant manufactured by Whitman & Binyon was installed in 1893. 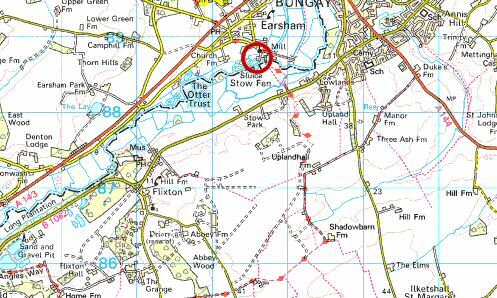 At this time, flour from Earsham was being sent to Newcastle by water transport. c.1824 Thomas Clarke made a will in which he made mention of his wife Ann and also stated that a further 30 years of his 60 year lease from the Duke of Norfolk was still yet to run. This means the lease was granted c.1784 and was possibly taken out by Thomas' father, Wiliam Clarke. 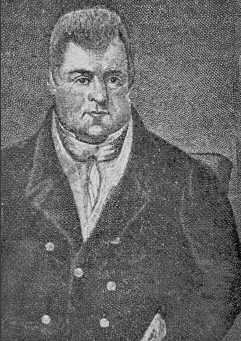 Thomas Clarke died in 1834. It would appear that sometime between 1845 and 1860 Richard and Charlotte Narburgh left for the USA, without their children. A Richard and Charlotte Narburgh show up in the Illinois census of 1860 and as their ages tie in it seems probable that it was the same couple. However, they presumably returned to England as they do not appear in any later surveys. 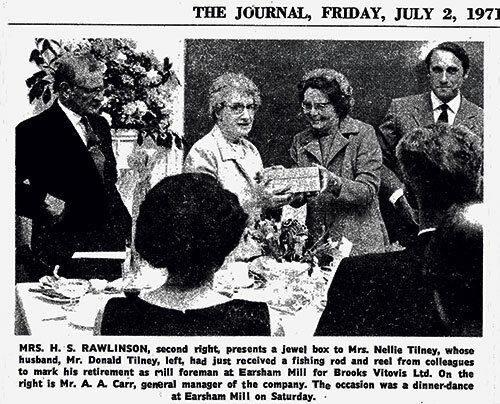 ...I have definite evidence concerning their son Thomas (my great grandfather) who incidentally started a racing paper called the "Pink - un" which later became the "Sporting Life" that still survives. 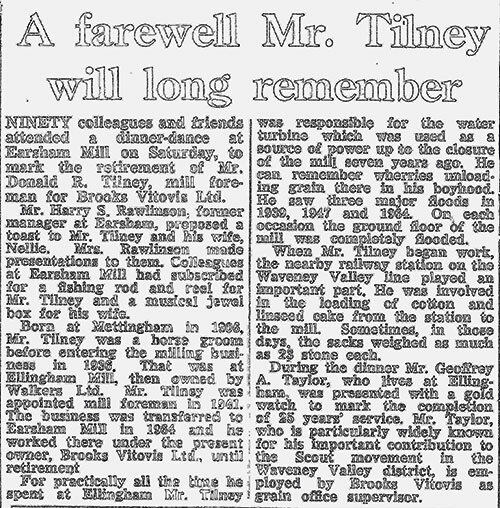 Thomas lived to age 90, and I can remember being taken to his home in Elstree to meet him when I was 5. I am now 81, and a US citizen, having emigrated here 40 years ago. The Mill will be Let with the Water-wheel, Pit wheels, three pairs of Stones, Flour mill and all the going gears and machinery as now in the mill, with Dwelling House, Stables, Granaries and Outbuildings and with 8 acres excellant Meadow Land including Garden and Yards. Tenders sealed up to be delivered at the office of William HARTCUP Esq. Solicitor, Bungay on or before Thursday 20th instant, who will give further information. The proprietor will not be bound to take the highest offer or accept any of the tenders. 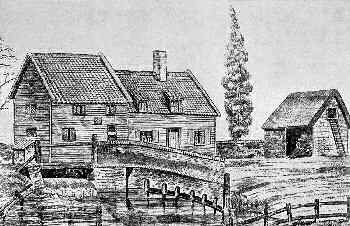 Jeckyll built a water mill and connecting cottage at Earsham for the Duke of Norfolk ....1862 ..... The contractors James Maxim Smith and Lewis Bull won the tender for this commission on an estimate of £1,069 with an additional £454.1.5 for the necessary machinery. 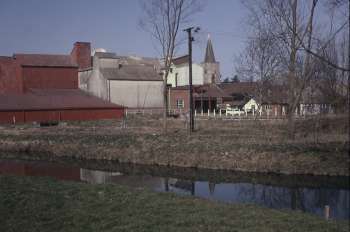 The three-story mill composed of brick and cement had a small, attached four-bedroom house. The mill still stands today but in a poor condition, and the cottage has been demolished. The steam engine house is to the left of the mill on the above photo but there is also an auxiliary drive belt attached to a pulley on the right hand side of the mill and is obviously being powered by some sort of engine hidden from view. 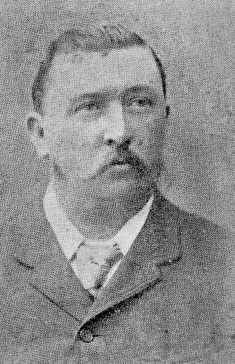 James Thurston was miller in the mid 1850s. He was born c.1802-05 in South Elmham and married Sarah Fairhead. 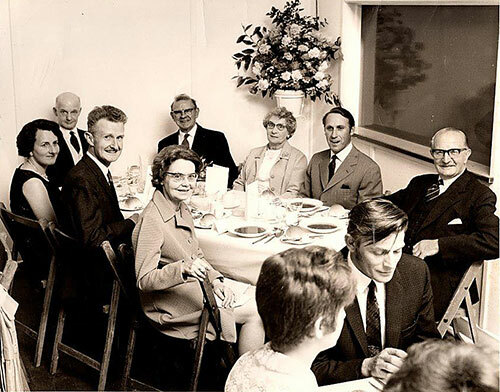 They had some 15 children, one of whom was possibly George Thurston who was a miller's apprentice in 1841 living in South Elmham, before moving to Mundham by 1861. Wanted, a man of good character to work a Tower Mill. Apply to R.H. Clarke, Earsham near Bungay. Pray what is your price for a good substantial ten horse power horizontal engine with heating apparatus & a 12 horse boiler, price on rail or into craft at Norwich. In reply to yours of the 9th to hand this morning I beg to say that I can supply you with a First Class 10 Horse Horizontal Steam Engine made from the same patterns as the one I fixed at Wainford Mills with 12 Horse Cornish Boiler 14ft long, 4ft. 6in. dia with Heating Apprts and all fixings complete, put to work exclusive of Brickwork for the sum of Two Hundred and thirty five pounds. £245. 0. 0. pro T. S., T. S. jr.
P.S. If you would name any day next week I would take the liberty of driving over to see you in reference to the above. 18 feet of 3¼ inch thick Wrought Iron Bright Shafting (or thereabouts), 4 Wrought Iron Crotch Spindles, turned & fitted with Damsels attached. 4 2½ In. Plumb blocks fitted with Brasses & Bolts. 3 3¼ in. do. do. do. 3 Cast Iron Brackets for carrying Counter Shaft. 6 Bolts & 6 Wall Plates for Do. 1 4ft. Drum, turned & Bored. 4 3ft. 4in. Do. Do. Do. 4 2ft. 6in Do. Do. Do. 2 Cast Iron Brays for carrying Top End of crotch Spindles. 8 Bolts, Nuts & Plates for Do. with Men's Time fitting and fixing the same in your Mill for the sum of Seventy Two pounds, ten shillings and sixpence. £72.10. 6. The Whole of the above shall be made of the best materials & sound workmanship and put to work. WANTED, an experienced Man as SPOUTMAN. 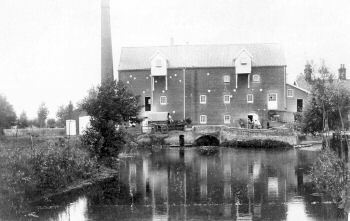 Charles Marston purchased the mill in 1900. He was born in Bungay_Mill House in 1882 and apparently grew up learning every branch of his business as if it was his hobby. 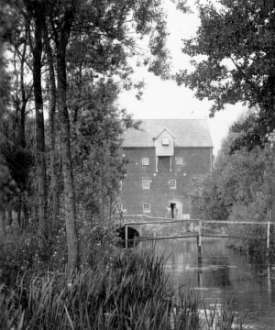 He also owned a 3 sack plant at Harleston and the watermill at Bungay, which for a short period was used as a roller mill. 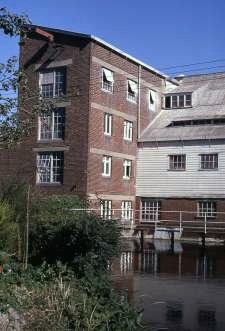 However, the mill burnt down in 1902 but by 1923 it was being used as a grist mill. The plant was remodelled in 1904 and thereafter ran 24 hours per day. It's capacity by now was 3½ sacks per hour. Power for the new plant was supplied by a turbine and coal gas. Modernisation of the 200-year-old Earsham Mill for use as a feed mill meant that to get heavy equipment into the the building yesterday part of the roof had to be removed. A 100 ft. crane was used to lift pressing, feeding, cooling and sifting plants into the mill and today the 8 ft. square hole in the roof will be re-covered with asbestos sheeting. The mill is owned by Brooks Savill Ltd., agricultural merchants, and the company are also building a 5000 sq. ft. warehouse alongside the mill. 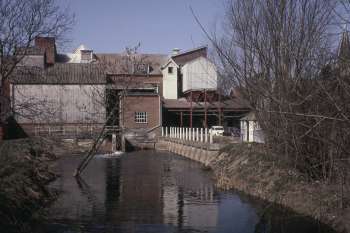 The mill, which was converted from flour to feed in 1962, is 45 ft. high and is used to make cattle, pig and poultry feeds. The heaviest machine lifted yesterday was a two-ton gearbox to drive the pressing plant and to accommodate all the machinery, holes were cut in the three top floorsof the four-storey building. 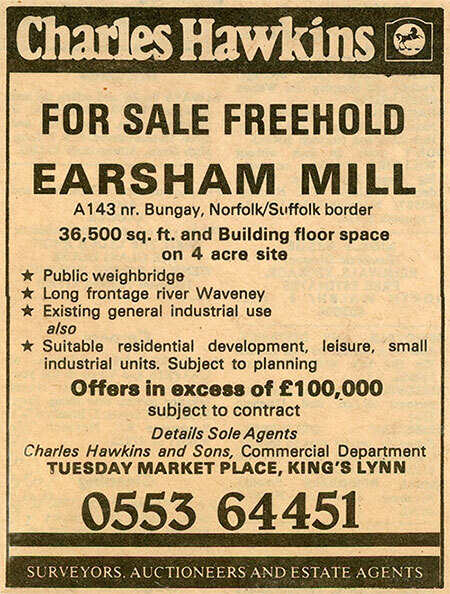 Earsham Mill, which was rebuilt in 1902 but which had a £250,000 refit in 1975, offers 36,500 square feet of industrial and retail space with development or investment potential. It is up for auction on Wednesday. 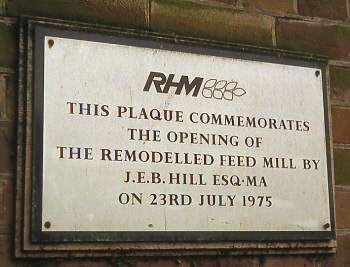 Ancillary buildings were also built on the site and in 1962 it changed from being a flour mill to creating animal feed and most recently it traded as a builders merchant. The site, which has a long road frontage, extends to four acres and includes areas of hard standing, parking and river frontage along with the former mill building, a traditional brick built barn and a workshop. The main building has accommodation over four levels and comprises a former ground floor retail area with offices. Further offices and storage space is available on the upper floors. 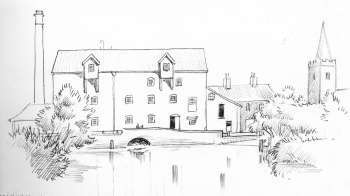 The mill has a long history which saw it trebling its capacity to 1000 tons a week in 1975 following its investment and in 1982 it was put up for sale for offers in excess of £100,000. The Auction House sale takes place on Wednesday at Dunston Hall Hotel in Norwich at 11am. 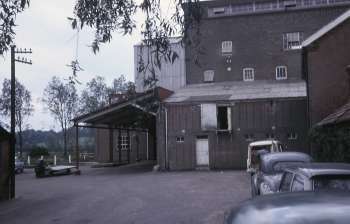 1975: Mill owned by Brooks Savill, part of R.H.M.